Manya can barely turn to the other side of the bed, she lies there crying in pain. Her mother, Mamatha is careful while holding her. 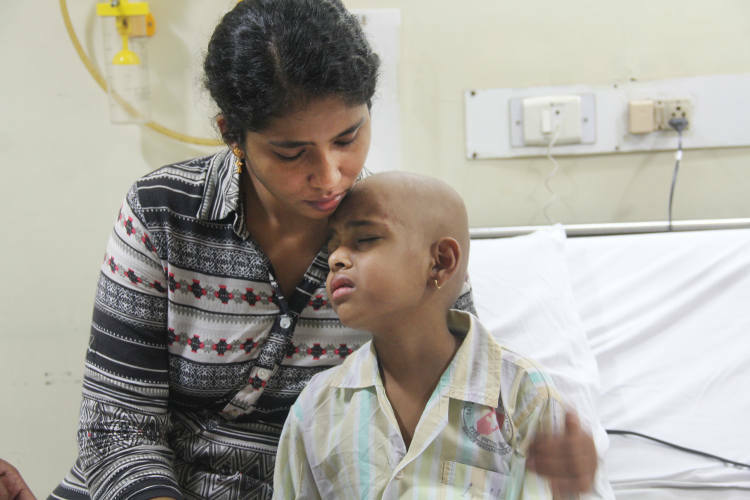 Even the mother's touch is painful for this 7-year-old who is suffering from a deadly cancer. Her parents thought they will lose her when she suffered a massive cardiac arrest but she came back. She wants to live! But her poor parents are without any help to save their little girl's life. Little Manya cannot move a limb without feeling pain anymore. Her whole body is so swollen that the doctors cannot find a healthy vein in her body anymore. Her mother tries to comfort her, but her loving embraces only hurt her more. Chemotherapy cannot kill her cancer cells anymore, she needs a life-saving bone marrow surgery. 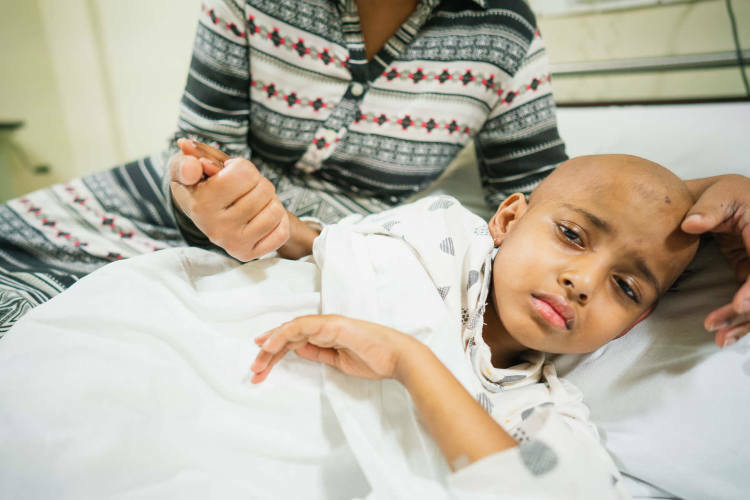 All Manya can do now is lie in the hospital bed, waiting for a miracle to save her because her parents have exhausted all their financial options. 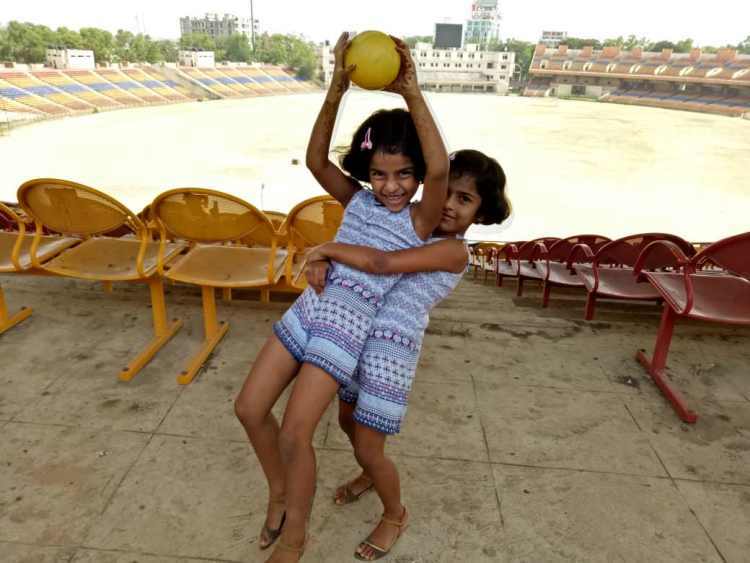 Manya loved going to school with her twin sister Manvi. She was the teacher’s pet and did extremely well in every school activity until she started getting unexplained blue-coloured bruises one day. 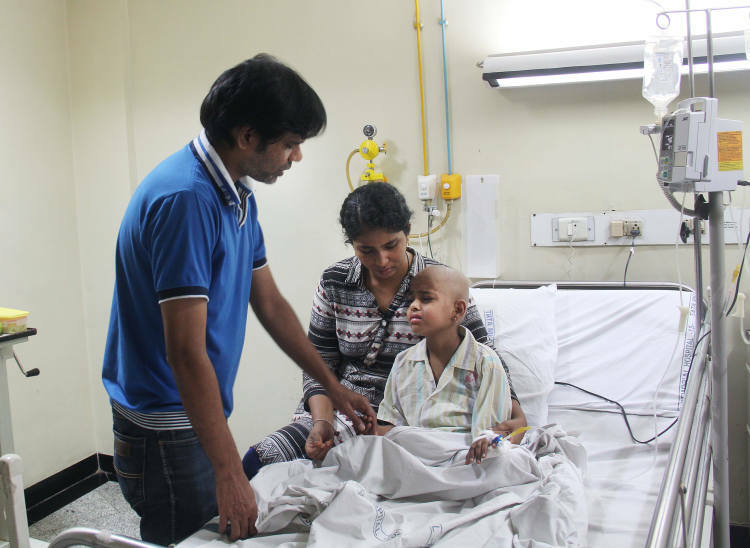 Routine blood tests conducted gave away the fact that little Manya had acute blood cancer. She had to be put on chemo urgently. Her father, Rajendra Prasad, did not have enough money for the first cycle. He was forced to borrow money to make sure his daughter got chemotherapy. The family had to shift from Ranchi to Mumbai for treatment immediately. “I had been struggling in life before the birth of my two angels. It was only after they came into my life that I even got a decent job. They were very lucky for me. And now, one of them might not make it. My wife and I cannot believe that something like this could happen to someone like Manya who always put others’ needs before her”-Rajendra Prasad tears up thinking about the fate of his daughter. Manya started chemo in July 2017, as soon as she was diagnosed. She underwent three cycles of chemotherapy and was actually responding well to the treatment. Her mother never left her side and her father worked hard to make sure that his daughter would be alright soon. But as fate would have it, her cancer relapsed just a few months later. Now, it had become more intense than ever. This family has been through a lot in the last couple of months. 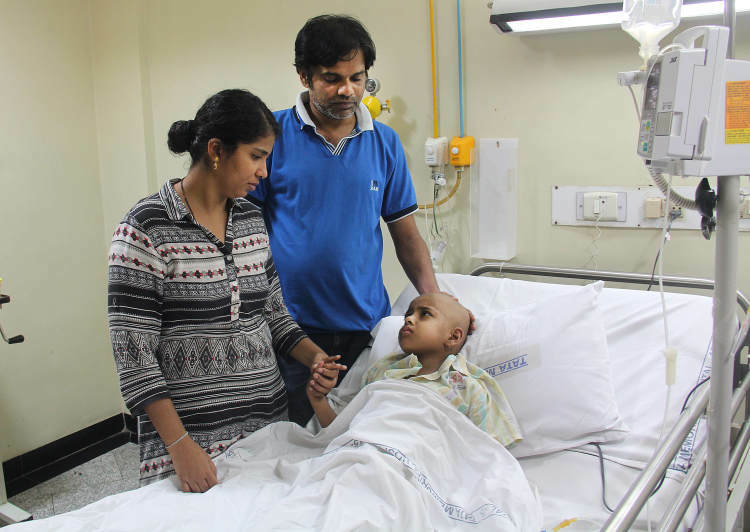 On one hand, little Manya’s sickness was getting worse and on the other, Rajendra Prasad was struggling to manage both medical expenses and household expenditure on his scant resources. Moving from Ranchi to Mumbai for treatment has been extremely expensive, and so the family now lives in Pune because it is cheaper in contrast. 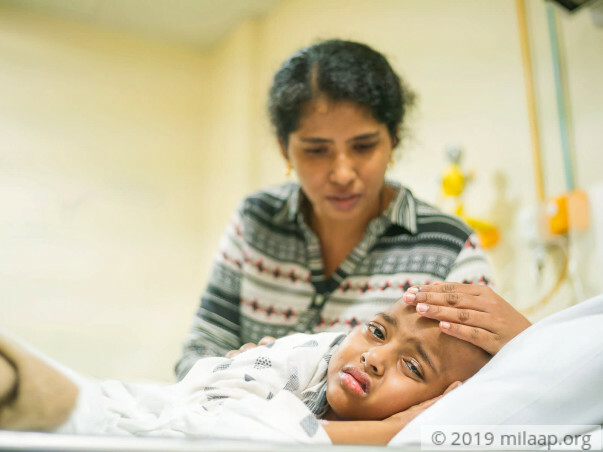 Manya and Mamatha stay full-time in the hospital while Rajendra takes care of Manvi at home, and makes the up-and-down trip to the hospital every day. Chemotherapy was prolonging Manya's life for so long, but that will not suffice now. Even when Manya suffered through a cardiac arrest, she didn't give up. Her body is bruised, swollen and she is suffering each moment. But she made it this far and when a door of hope opened, she cannot walk towards life because there is no money left to save her. This is her last chance and with our support, her parents can save her life. 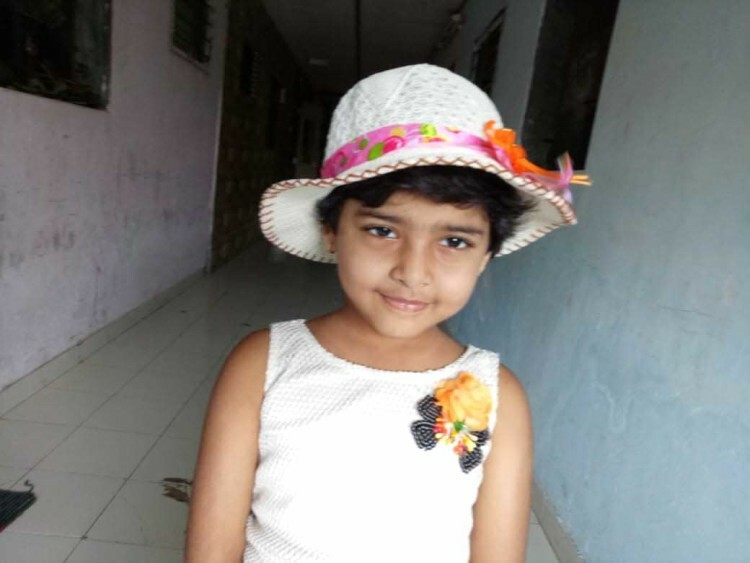 The family is grateful for your generous contributions made towards Manya's treatment. However the child could not make it. As the funds remain not utilised , post discussion with the family and the hospital it will be used for 4 other campaigns which require urgent support so that the patients can undergo the required treatment at the earliest. Hence we would like to utilise the amount towards these campaigns. All the kids are ready for their initial pre-bmt evaluations to get the treatment started. 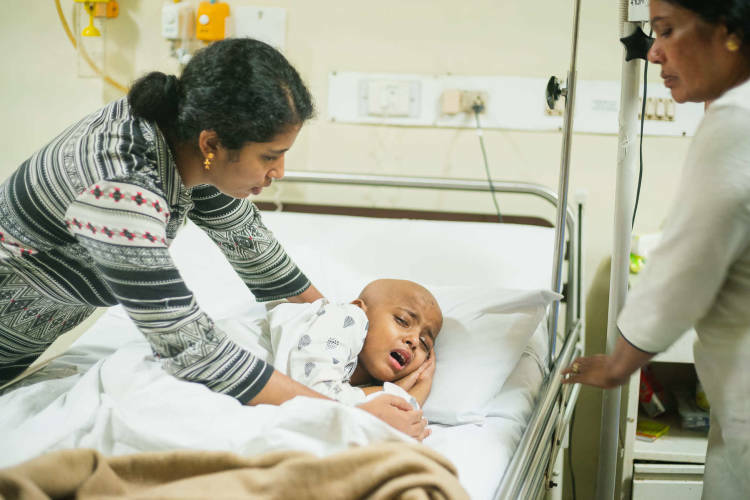 1. https://milaap.org/fundraisers/support-kaivalya-chavan - 3-year-old Kaivalya is fighting cancer and the only way he can survive is through a bone marrow transplant. Devyani and Yashwant are trying very hard to save their son. But the cost of the surgery is enormous and Yashwant’s meagre salary will not cover even half of the surgery. 2. https://milaap.org/fundraisers/mandip-tamang - Mandip is at the brink of death and only a bone marrow transplant can save him. His poor father had left his job as a daily wage worker to get him treated. 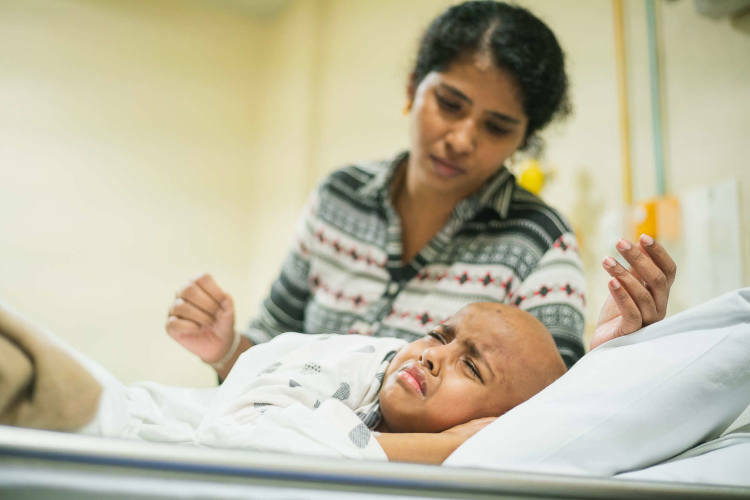 3. https://milaap.org/fundraisers/support-rajveer - After After a lot of struggle, Jaiveer and Payal finally found hope in a Mumbai hospital which assured them that a bone marrow transplant can save him. Despite this difficult diagnosis of Thalassemia major, Rajveer has hope of cure from Thalassemia major because his sister, Prachi, is also a complete sibling match (by HLA testing). 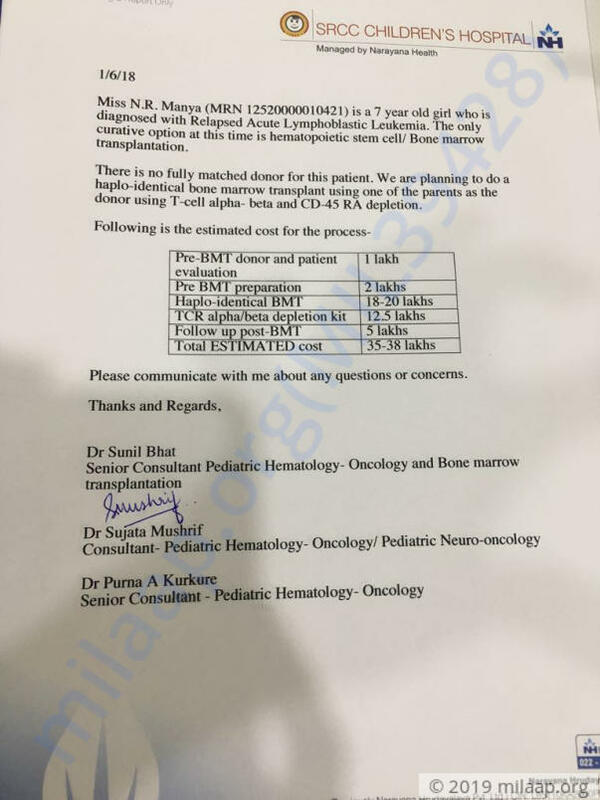 4. https://milaap.org/fundraisers/support-samarth-darshan - 7-years old boys, Samarth and Darshan, son of Sandeep Mohite are suffering from Severe Red cell Aplasia, need your support to fight disease and undergo bone marrow transplant. However, in case you would like to opt for a refund, please reply to us by 28th September and we will be happy to initiate a refund for you. After which all the funds raised via this campaign will be transferred towards the mentioned campaigns. Unfortunately, with inexplicable grief, I'm having to inform you all that Manya passed away. The damage to her brain was progressive but didn't show up on the MRI scan. Hence, she was on medication for her side effects like fever and high blood pressure. She was undergoing chemotherapy when her blood pressure shot up and it was then not coming under control. The doctors gave the best of medical care but she stopped responding to the treatment which eventually led to a cardiac arrest and we couldn't save her. The family is grateful for the support you have shown towards Manya. We are in touch with the family and the hospital to understand the utilisation of funds. Please allow some time as this is a difficult time for the family. We will keep you posted. Thank you for the wonderful support that you have shown towards my daughter Manya. The last time she underwent a few tests there a small trace of carcinogenic cells. The doctors suggested her to undergo oral chemotherapy for about a month before they could suggest the next course of action. She has normal side effects like pain, fever, nausea and the doctors suggest that she will be recovering from them soon. There are a few tests which are scheduled at the end of this month based on whose reports the doctors will be suggesting the future course of action.